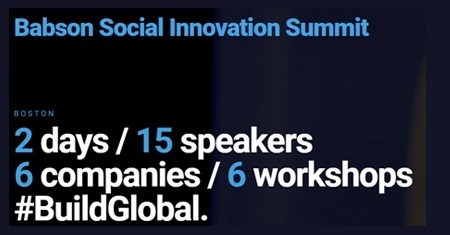 Babson College will host its first Social Innovation Summit at the Wellesley, Massachusetts campus on April 7-8, 2017. The summit will convene thought leaders from universities, intergovernmental organizations, non-profits, established companies, and startups who together offer inspiring stories about turning global problems into opportunities. The Impact Investing Panel will feature Lawrence Ford and business leaders sharing real success stories, challenges, and opportunities in social innovation.